Our team at Plumber Sandycove specialize in 24 hour emergency plumbing services throughout Dublin. If you have an emergency just call us. We will be with you in under an hour day or night. We are available 24/7-365 days a year for any plumbing emergencies and any general plumbing works you may require. 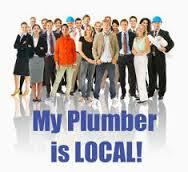 At Plumbers Sandycove we only hire fully qualified plumbers. They are all gas safe registered and have full knowledge of all health and safety laws. We pride ourselves on our outstanding customer service. Our staff are honest and reliable and all of our work is done in a professional, competent manner. We guarantee all of our work and we carry public and professional liability insurance for your extra peace of mind. Your local team at Plumber Sandycove provide the following services and more. · Gas and oil boiler servicing by an R.G.I. engineer. · Boiler repair and replacement. · Central heating system repairs or replacements. · Drain services. We unblock all drains, sinks, baths, showers and toilets. · Full bathroom refurbishments. We also install baths, showers, sinks, bidets, wet rooms, taps and toilets. · Emergency plumber Sandycove. A 24 hour call out service. · Water pump installation and repair. Even if it’s not listed, we’ll be able to help. Sandycove plumbers have been trading for more than 35 years now. If you need an established company with a great reputation please call. We offer a free call out with a professional no obligation quote. We do not have hidden fees or charges. We do not charge traveling time or parking fees. Our team make sure their vans are always fully stocked. This means there is never a need to be “sourcing parts”. If we do have to get parts it’s in our time not yours. If you live in south county Dublin and need help urgently, call your local team at plumber Sandycove today on 01-2844921.